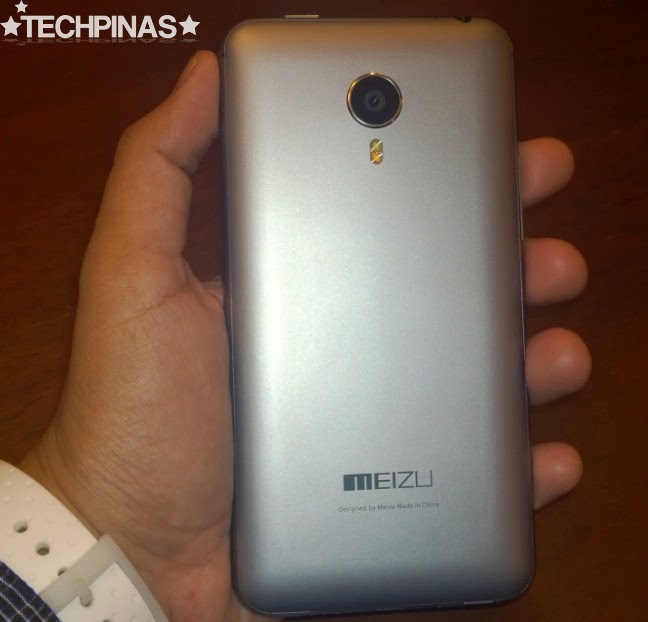 As promised by Novo7Tech - the official distributor of Meizu smartphones in the Philippines, the much-anticipated powerhouse phablet Meizu MX4 Pro is now available in their flagship store in Gateway Cubao, Quezon City and will be out in all of their branches nationwide within this month. 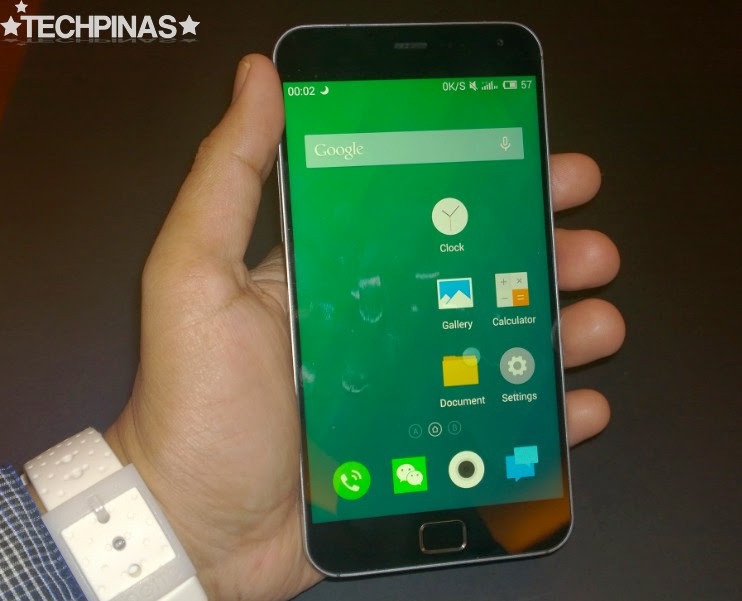 "Mark, this is the first and only Meizu MX4 Pro unit that you can find here in the Philippines. And I'm letting you play with it to give you first dibs on the device." That's what Sir Adrian Lim, IT Director of Novo7Tech - the official distributor of Meizu smartphones in the Philippines, told me during my casual meet-up over coffee with their amazing team last November 21, 2014. 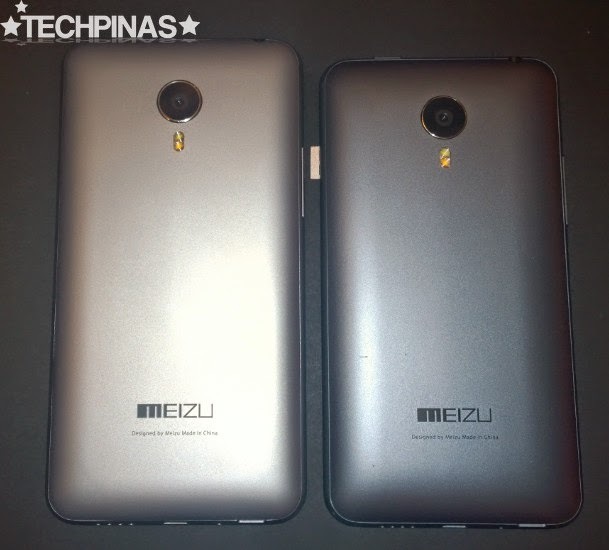 Equipped with sizable 5.5 inch 1536 x 2560 pixels (2K) IPS display panel and a fingerprint scanner atop its home button, Meizu MX4 Pro is the phablet co-flagship of the best-selling and critically-acclaimed TechPinas Badge of Excellence Awardee Meizu MX4 (Kind of like what Samsung Galaxy Note4 is to Samsung Galaxy S5) providing users not just with a larger display but also with a slew of other enhanced features. 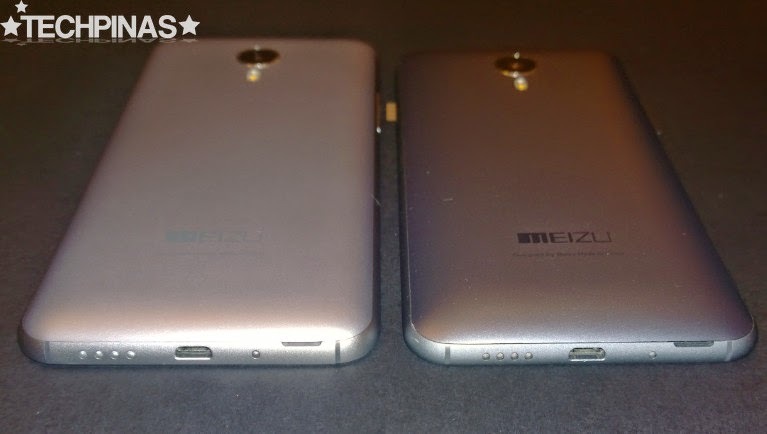 Meizu MX4 Pro and Meizu MX4, respectively. The former has a 5.5-inch 2K display while the latter's screen measures 5.36 inches and has 1152 x 1920 pixels (wider than Full HD) resolution. The two handsets flaunt the same design language highlighted by the rounded sides, super thin bezels, tapered edges, removable curved back plate giving access to the microSIM card slot, and a CNC-processed real metal side frame providing an elegant and durable look and feel in the hand. Both Meizu MX4 and the Pro version have a 20.7 MegaPixel autofocus camera at the back with Two-Tone flash and Sony IMX220 sensor for top-notch low-light performance. 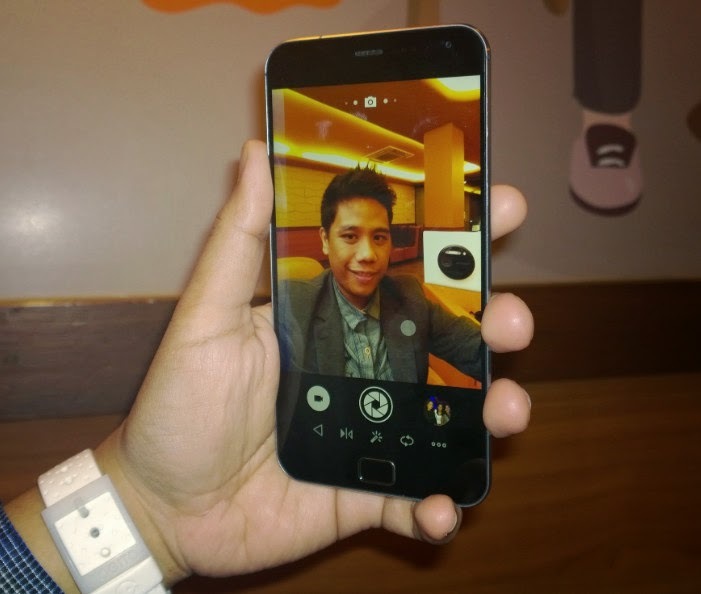 As for the front cam, Meizu MX4 Pro is better as it has a 5 MegaPixel camera for selfies - resulting in bigger and, at the same time, clearer shots - versus just 2 MegaPixel on the earlier release. As for the front cam, Meizu MX4 Pro is better as it has a 5 MegaPixel camera for selfies - resulting in bigger and, at the same time, clearer shots - versus just 2 MegaPixel on the earlier release. Apart from the superb display, design, and camera features, powerhouse internal specs and industry-leading performance are two other main selling points that these siblings share. 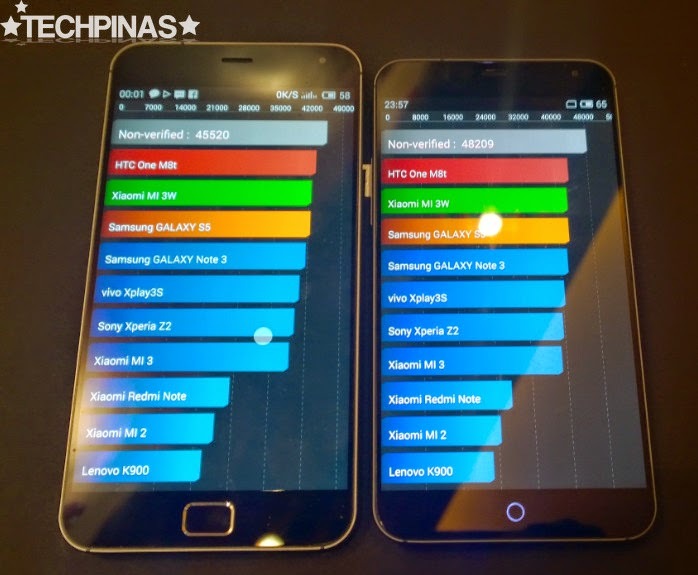 During Novo7Tech's recent internal testing, Meizu MX4 Pro got an unverified Antutu Benchmark Score of 45,520 while Meizu MX4 clocked in at 48,209. 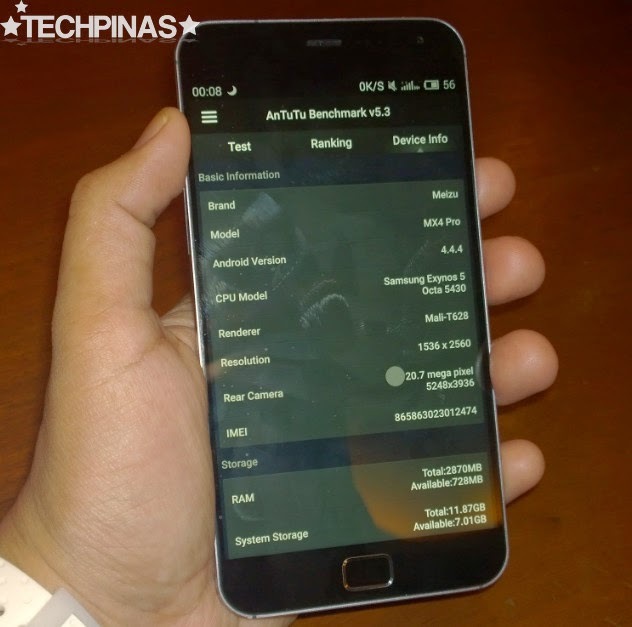 While Meizu MX4 is powered by an Octa Core 2.2 GHz ARM Cortex A17, ARM Cortex A7, and PowerVR Rogue Han GPU based MediaTek MT6595 chipset, the Pro version runs Android 4.4.4 KitKat based Flyme 4.0 OS with its Samsung Exynos 5 Octa 5430 SoC incorporating four 2 GHz ARM Cortex A15 plus four 1.5 GHz ARM Cortex A7 CPU and a Mali-T628 GPU. 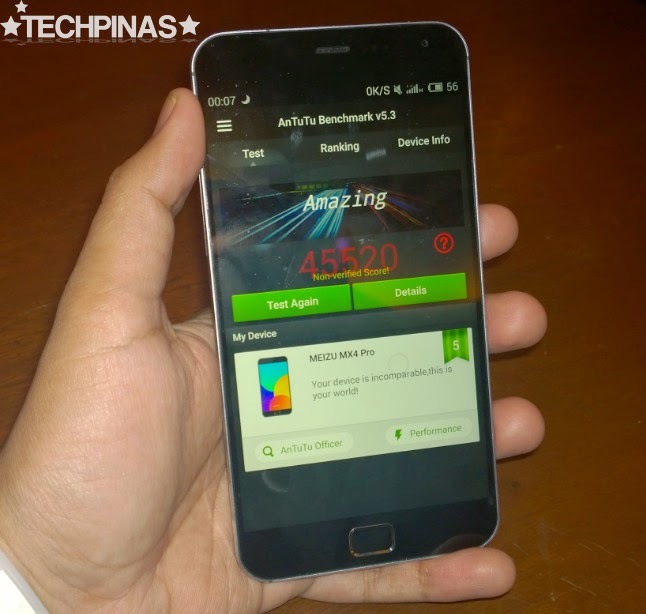 During our conversation, Sir Adrian told me that a smartphone running on MediaTek MT6595 is really expected to get a higher Antutu Benchmark Score over one running on the Exynos 5 Octa 5430 chip because of the former's more powerful A17 cores. Nonetheless, he told me that in the score breakdown, the Mali-T628 GPU of 5430 got a higher mark than the PowerVR H6200MP4 MT6595, which could mean that Samsung's Octa SoC actually delivers better graphics performance. Nonetheless, having played with both phones for a while, I'd say that gaming and overall touch experience on the two handsets are largely comparable -- and if ever there's a difference in performance, it's really not that noticeable. 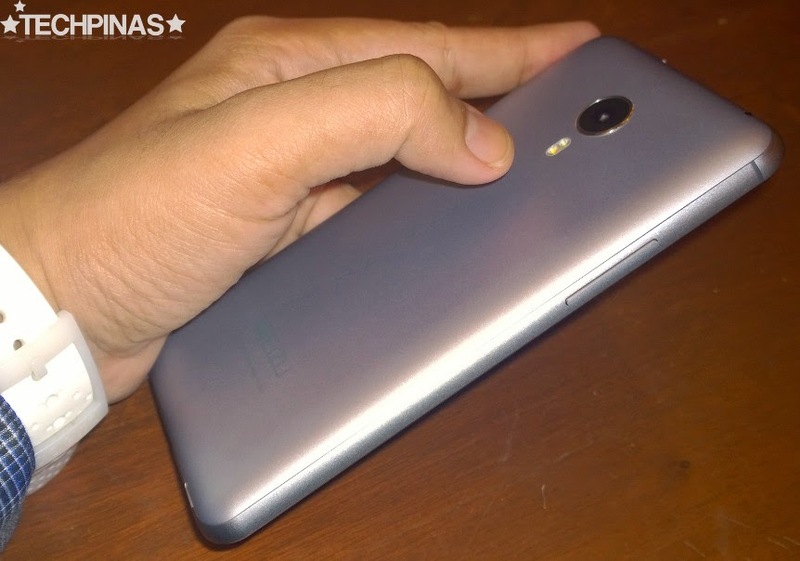 If there's one feature that Meizu MX4 Pro has that you'd really miss on the MX4, it's obviously Fingerprint Sensor. Coated with scratch-resistant sapphire crystal (just like its camera module at the back), this one touch-scanner lets you unlock your phone, protect personal applications from prying, and even make MPay purchases in supported territories, among other capabilities that I'll talk about in the coming weeks. 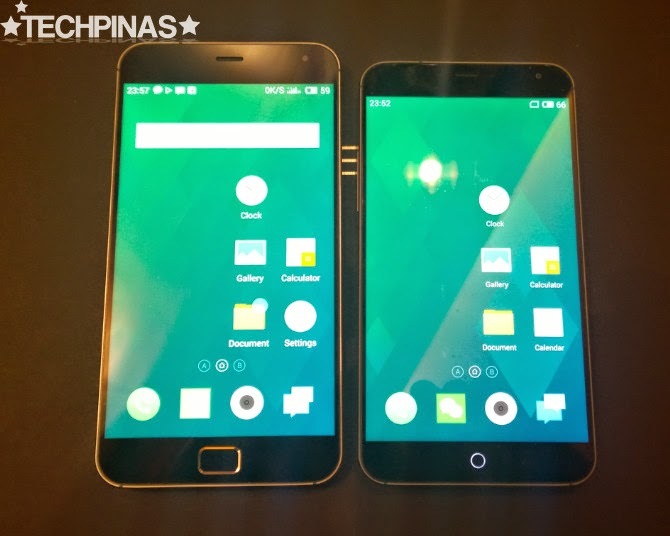 For Meizu fans and everyone who's interested to purchase this incredible device, here's an exclusive and extensive demo video of Meizu MX4 Pro that Sir Adrian gave me last November 2014. I hope you can check it out and share it with our friends. 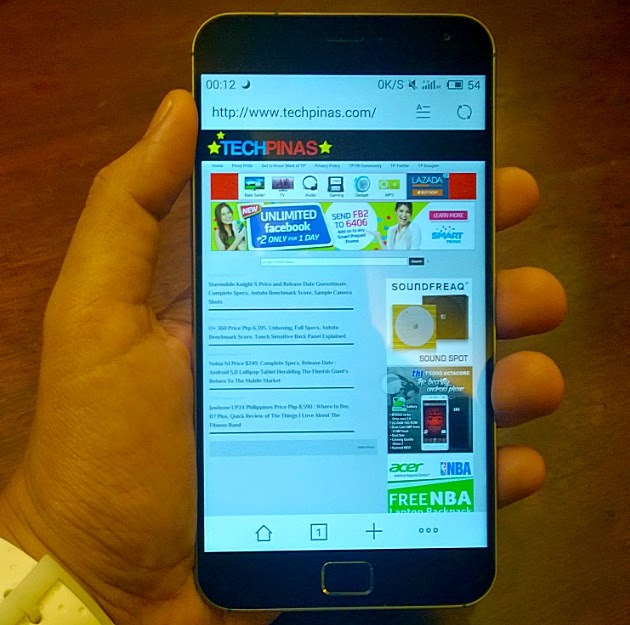 Meizu MX4 Pro 32GB variant is now up for purchase at Novo7Tech Gateway Cubao store. Its official suggested price is Php 20,990 but if you're getting from today until February 8, 2015, you can enjoy a Php 1,000 discount -- bringing its price down to Php 19,990 if my math serves me right. Obviously, given everything that the handset offers, it's already a steal at that amount.